There are five pen sizes included in this set: 0.05mm, 0.1mm, 0.3mm, 0.5mm & 0.8mm. Black outliners in varying sizes, ideal for my watercolour pictures. I have had a very quick try out and they are prefect to do the Zentangle squares. Only tested so far but like the way the write. I've only used one pen, but it is excellent. As I am mainly replacing older fineliners, I already liked the pen. For the most part I prefer the control of the fine tip over brush pens, though they too have their place in my work. 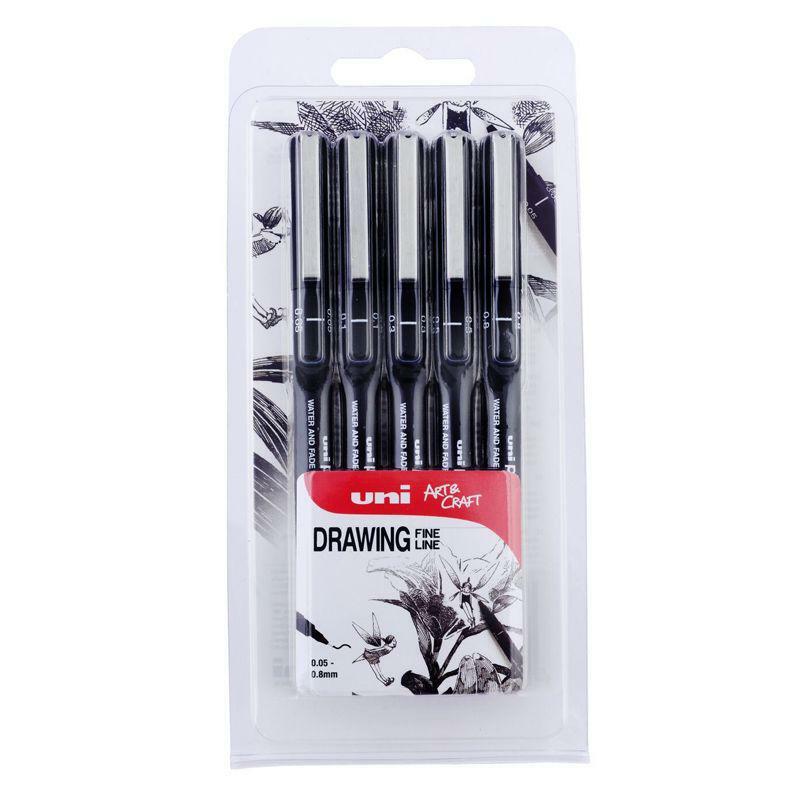 Good standard fine liners for black and white drawings, visuals and illustrations. 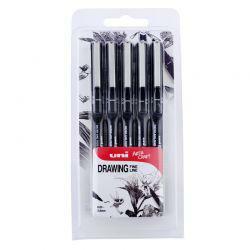 This is a very versatile pack and extremely useful for drawing. I use these for tracing on parchment and Zentangles. The best for both. Brilliant for stampers to touch up small areas of the image that didn't print properly, or for defining and 'lifting' areas - the only nibs fine enough to do the job really well. A really good staple for any paper crafter.